Who doesn’t want to bring their dream home to life? Do you have visions of opening up your floor plan, completely changing the exterior of your home, adding an addition, or updating your home for multi-generational living? When your home needs extensive remodeling, multi-phased remodeling is the perfect solution. By remodeling in phases, you can spread the construction out over a period of time that will work within your schedule and budget. 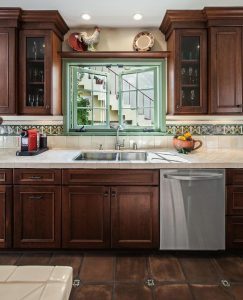 Zieba Builders partners with many homeowners to plan their whole house remodel in phases. With inspired design and attention to every detail, Zieba will work with you to create the home you’ve always dreamed of having. We’re giving you a sneak peek at a Cal Heights multi-phase remodeling project we are working on right now, and it’s simply stunning! We’ve completed two of the four phases of this project: the kitchen and master suite addition. In phase 3, which is in design now, the remainder of the home’s interior spaces will be completed including a guest room and bath remodel. 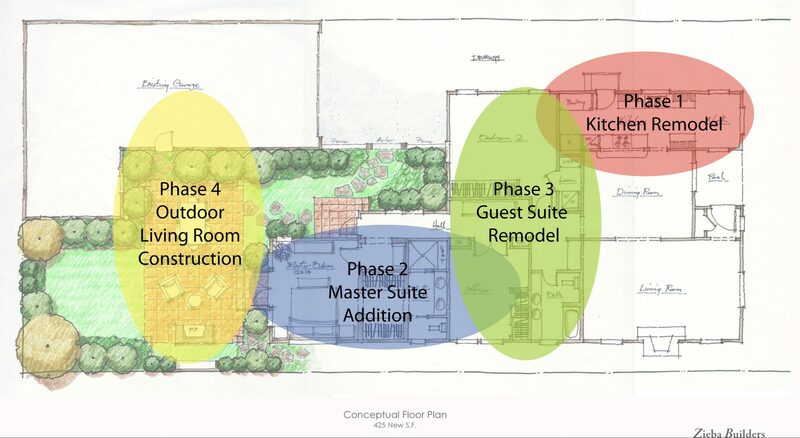 Phase 4 includes a major exterior remodel with an outdoor living room and all new landscaping. We are designing a covered patio featuring a fireplace with an abundance of Spanish tiles; a new colorful California landscape plan; new front entry with enclosed courtyard, beautiful Craftsman gates, arbors, and fencing. But for now, we will show you a preview of phases 1 and 2. 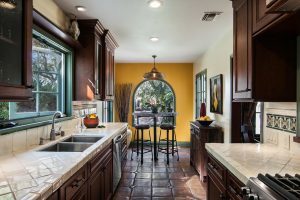 When planning this kitchen remodel the goals were to improve the efficiency and appearance while maintaining a scale and design style that complimented the original architecture. 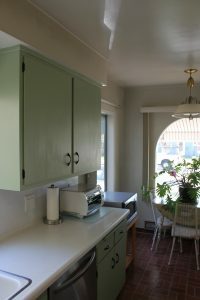 Before photo of kitchen looking toward eat-in space. 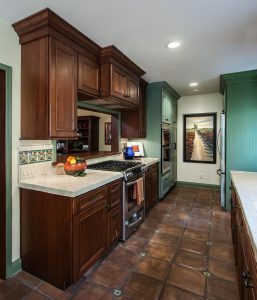 Rich textures were brought to life with hand molded and painted Talaverna Tiles. Period appropriate details including the color scheme and beadboard pantry accents set the tone for this Spanish Revival Bungalow. 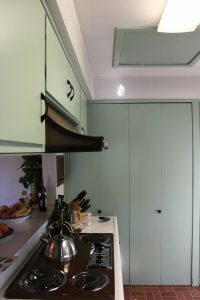 All windows were restored or reproduced to match originals. Design the master suite this home was meant to have, offering expansive outdoor views and an inviting master bathroom. 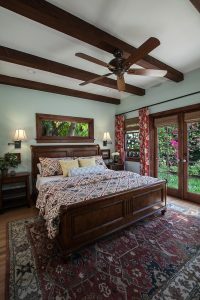 In the Master Suite addition, rich wood exposed beams are a lovely counterpoint to soft green walls. A transom window perfectly situated above the bed invites the morning light in. Take a quiet stroll outdoors from the private exit to the garden. This nook provides a functional transition zone between the public corridor and the privacy of the new master suite. 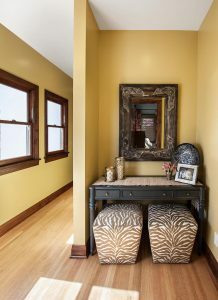 It’s a perfect spot for keeping your keys, touching up your makeup, or simply planning your day. 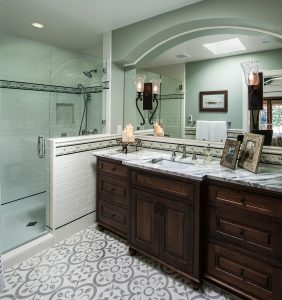 An enviable master bath with beautiful period details such as marble countertops, restoration tile wainscot, authentic encaustic floor tiles, and arched architectural elements. 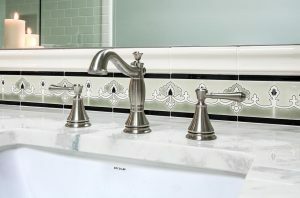 A closer look at the hand-painted custom restoration tile used throughout the master bath.